Look, I’m going to be honest with you. Believe it or not, SIHH doesn’t have a whole lot on offer in the sub $10,000 category. It’s a sweet spot for one or two of the brands, and a handful of others have one or two watches that fit the bill. But even given the fact that there are not too many watches to choose from, I found this a hard trio to settle on. But in the end I settled on three stunners. I mean, just look at this thing. Pure, purpose-built perfection. 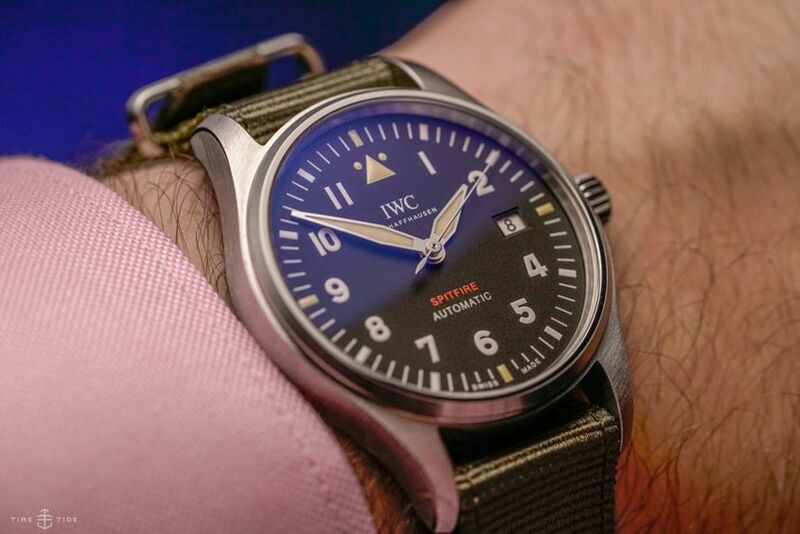 Aside from the clean design and fabric strap, the 39mm case and new in-house movement seal the deal with this IWC Spitfire. The Geosphere is already a pretty wild watch, with those twin hemispheres and that compass bezel. I think it looks even better in green, which provides a perfect complementary contrast (is that even a thing?) to the bronze case. Bravo, Montblanc. While freaks and underwater love was all the rage at Ulysse Nardin, I found myself falling for a different kind of diver. This 42mm chunk of steel on sailcloth. It’s got just the right amount of personality for a regular wear watch — enough, but not too much. Oh, and don’t forget to put forward your own three picks under $10K (Aussie dollars, remember — just to make things harder), and you can win fame, glory and a silver lapel pin.